This month, you might be offered a significant amount of money from an older person. Get everything in writing, but first close your eyes and imagine prunes. This holiday season finds you caroling, decorating and eating figgy pudding. For your health and relationships, you stop short of the traditional fruitcake. Tenderness and smooth talking may be helpful in avoiding a fight during your big holiday meal. If this fails, grab the mashed potatoes. They spray when tossed. You will have the opportunity to meet an important person who will help you in business. Of course, you will be telling that stupid knock-knock joke again. You will face fatigue, personal illness, aggravation and disappointment, especially with Gemini, Virgo, Cancer, some in-law and ‘youthful’ members. Run like hell. You’ll mistake the advice from a psychic that told you December is a good month to expose yourself to differing viewpoints. What you are planning is still illegal. This is a good month to try showing off the qualities that make you different and unique. 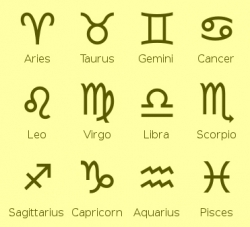 Before you begin, read Virgo’s horoscope and think twice about it. As usual, this month your judgment regarding the use of money is at below normal levels. To compensate, limit the quality of your purchases to below normal levels. This holiday season you’ll want to spend more time with someone you find special. Unfortunately, your love mate may take exception and spoil your surprise present. This month, your nonverbal signals are the key to improving your chances of making a love connection. To put it in others words – keep your mouth shut. Simply remembering your favorite things may not get it this month. Unscheduled visits and merry greetings from relatives you don’t know will wear you down. Your mind is on cutting through the nonessentials and penetrating to the core of issues—you want to know who, or what pulls the strings. Is Santa real, or what?